I grew up in East Texas and Northern Wyoming before traveling to the four corners of the earth while serving in the Marine Corps. Since 1991 I have lived in the Atlanta area, holding a technical position with the Federal Aviation Administration. I have always had an interest in art, but it really took off after being exposed to all of the work my wife was doing while attending the Art Institute of Atlanta completing her interior design degree. That spurred interest turned into delving in oil painting, and I have been painting off and on for the last fifteen years or so, in the quest to harness an art gene I just might have inherited from several very talented artists in my family. My schedule and requirement to travel have hindered the ability to acquire formal training, but I have enjoyed the trial-and-error method of learning. I am nearing retirement age and would like to move it up a notch or two with some serious study and participation in the local art community. 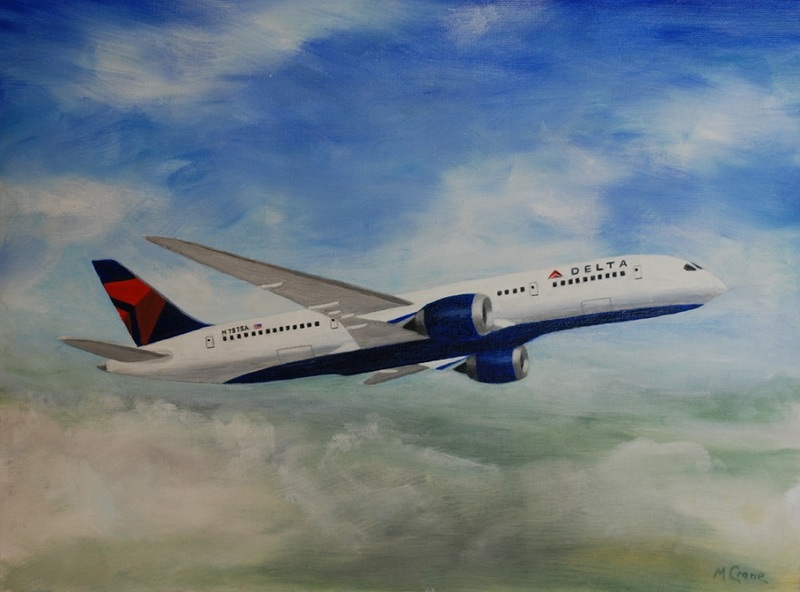 Aside from landscapes, I have tried a few wildlife paintings, which I thoroughly enjoy, but am planning on focusing mostly on aviation art that might generate some interest in this airline-oriented part of town that I live in.